AIA/LA has just announced the winners of its second annual "Arch Is" competition, open to California designers who have graduated from architecture school in the past five to twelve years. The victors are two of our favorites: FreelandBuck, headed by David Freeland and Brennan Buck, and P-A-T-T-E-R-N-S, led by Georgina Huljich and Marcelo Spina. Both are on the cutting edge of digital fabrication and complex, layered (not to mention curvy) design. 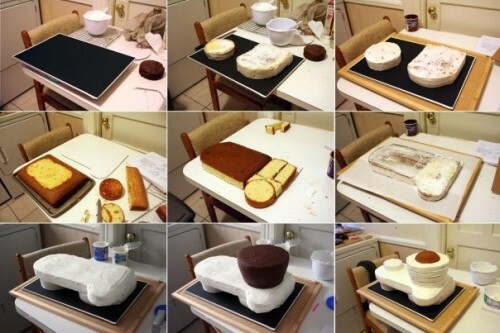 See some of their work, below. And stop drooling. 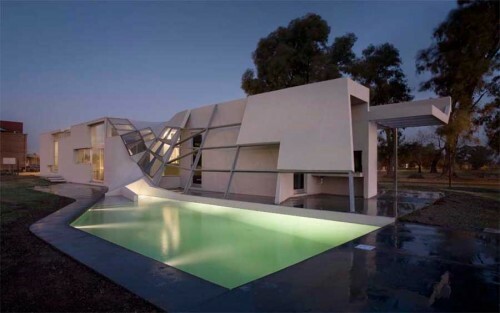 And check out a public forum featuring the winners at LA's A+D Museum on March 24 a 7pm. The British artist Richard Woods is known for using patterns from historical sources such as Tudor architecture and the designs of William Morris in his Pop inflected works. 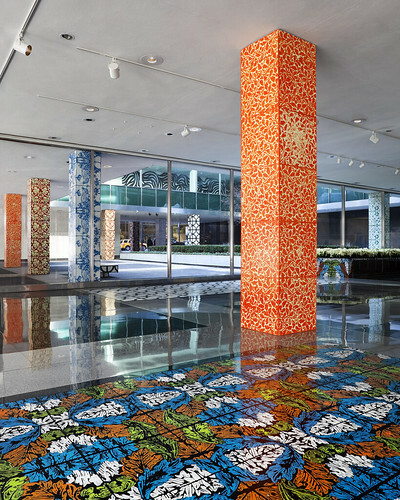 His new installation at Lever House, entitled Port Sunlight, wraps the ground level elements at Gordon Bunshaft's mid-century masterwork in vibrant panels, and while there isn't a snowflake in sight the effect is festive. 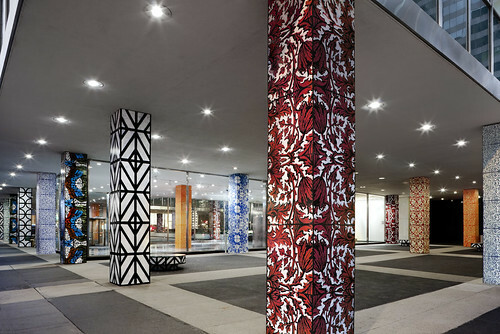 Nine patterns, applied to columns and benches, and as carpet-like floor pieces, are used on the exterior and interior of the lobby. 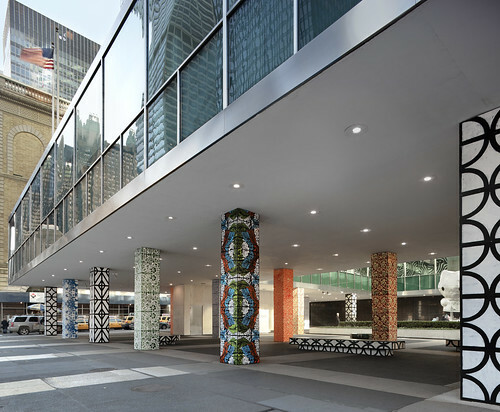 They vibrant colors draw the eye across the ground level, highlighting Bunshaft's layering of indoor and outdoor spaces. While Lever House's classic lines hardly need to be improved upon, Port Sunlight invites you to see the building with fresh eyes. On view through January 31, 2010, Park Avenue at 54th Street.